This is a yummy, easy to make recipe that is great for the grill during the spring and summer! The sauce only has four ingredients and comes together soooo easy. I like to make this for company. 1 cup butter -- Do not substitute. Grill chicken on barbecue and rub with two teaspons Montreal Chicken rub. While chicken is barbecuing, make the sauce. Put butter in medium saucepan and melt and then brown slightly. Add honey, lemon juice, and pecans and cook for about 3 minutes. Bring mixture to a boil and continue cooking for another three minutes. Pour sauce over barbecued chicken and garnish with lemons. You will have a lot of sauce and a lot of pecans. Serve with white rice. Serves 6. I obtained this recipe from my sister Jackie. It is a copycat recipe from a restaurant from one of the restaurants at Sundance Ski Resort. 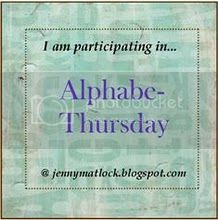 I am posting this recipe for the letter "L" at Jenny Matlock's Alphabe-Thursday. I am posting this recipe with Tempt My Tummy Tuesday. I am also posting this with The Utah Hive, a group of Utah Food Bloggers and Tasty Tuesday. I am also posting this with Tuesdays at the Table. wow..this looks amazing! i might actually get my mother in law to try it...she is very picky but she does love pecans! Looks and sounds delicious - and it's simple. That's a keeper recipe! What a great looking recipe! I live in England, and am always looking for something different to serve up for visitors! That sounds so good! I love pecans! I love trying to copy restaurant recipes! And Sundance ALWAYS has great food. I will have to try this out! That chicken sounds wonderful! WOW! Thanks for sharing your recipe and linking to Tempt My Tummy Tuesday. This looks so good, of course anything with pecans is good! I have never seen whole pecans on chicken. This sounds decadent! Oh this looks way to yummy!!! Sounds delicious and, Georgia girl that I am ( though I've been in the San Francisco aea for 33 years now ), I love anything with pecans! This is a new one on me, but it's all the things I enjoy eating! And it's pretty to look at too! Wow! This looks great! I bet it tastes great too. I've had something similar to this at Sundance and it rocks! I never thought about trying to reproduce it, but I certainly will try now. 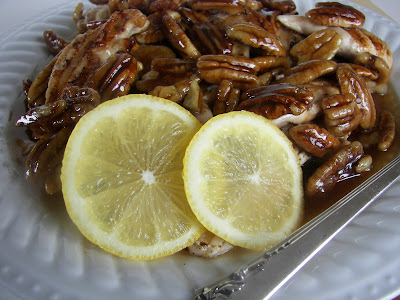 That recipe combines a few of my favorite things...lemon, chicken, and pecans! Sounds really good. My mouth is watering...what a great combination of flavors! Thanks for sharing this delcious recipe. I love pecans... but I think I'll save them for pie! And all of my favorite ingredients. I am definitely copying this one! Thanks for making Alphabe-Thursday so Lip-Smackingly-Lovely this week! I had no idea what I would fix for dinner tonight. This is my first time participating in alphabet Thursday! What fun! And now I know what I am cooking tonight! I am so glad I participated. This looks scrumptious. Friend, you are speaking my language!!! That looks divine. And guess who happens to have a bunch of lemons and pecans laying around? And guess who further has a husband who just tonight was saying that he wants to grill some chicken this weekend? Sounds good. I will eat anything that includes chicken for the main dish. Have I ever told you I have that same red couch? Yum! This looks delicious. I'm going to put this on our menu! Yum! It looks delicious and the recipe seems pretty simple. I love McCormick's Montreal Chicken Spice (and pecans). Chicken & pecans = Yummy! This looks like a winner recipe! Oh and can't forget the L word...Lemon! Great post! Yum, I will have to try that recipe. Looks wonderful. Thanks for stopping by. This one looks like a keeper! 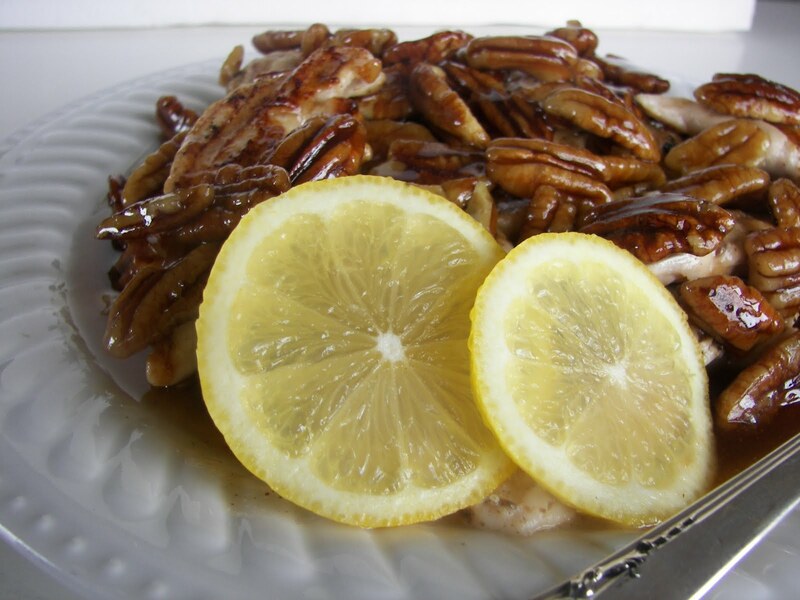 We love chicken - and butter - and pecans - and lemon. How can I go wrong? !